Most livestock producers use different fencing options to contain their livestock, manage the pasture areas for their livestock and to guide their livestock from one pasture to another. Most Fencing for Livestock include high-tensile fencing, woven wire fencing, post and rail or board fencing, temporary fencing, electric net fence, wire choices, grounding electric fences. There are a variety of fencing materials for livestock systems. Installing the right Fencing for Livestock system help to keep and confine your valuable livestock by acting as a barrier to restrict livestock movement. These barriers could be in the form of physical barriers, psychological barriers, or a combination of both forms. Physical barriers are always made of materials which have enough strength to prevent livestock from going through or over the fence. While psychological barriers ae made with materials that may inflict pain on the livestock in order to discourage them from approaching. Conventional Fencing for Livestock included barbed wire fencing, board fencing, woven wire fencing, mesh wire fencing, electrified wire fencing, and combinations of these. If properly constructed, these traditional Fencing for Livestock offer excellent fencing and are still in use today by most people. Though, there have been emergence of new materials like the high tensile wire which should also be considered when choosing the right type of Fencing for Livestock. It should be noted that choosing the right type of Fencing for Livestock system is dependent on several factors which include the age, breed, species, and production system of the livestock. For instance, cattle reared for meat on a controlled grazing system would require a fencing system different from that of horses on recreational pasture. More so, division fences or fences for permanent boundary require different materials from temporary paddocks fences. Also, the materials and type of fencing chosen affect the lifespan, cost, and functions of the fencing system. This article provides a useful insight on the various types and the different materials that are available for Fencing for Livestock system, it also offers some basic guidelines on the right fencing option for different livestock types. What Are the Different Fencing For Livestock System? Remember that some certain factors must be considered before the selecting Fencing for your Livestock system, these factors include the efficiency of the fence in containing livestock, its durability, maintenance, affordability, etc. Also note that Fencing for Livestock varies from offering physical barriers like the board fences and woven wire fences, to psychological barriers like electrified tape or poly wire. A good example of fences that offers both barrier is the high tensile electric fences. The woven wire fence consists of smooth wires (line) arranged horizontally which are held apart another series of wires (stay) arranged vertically. The spacing between the horizontal wires (line) may vary from 1.5 in. at the bottom for smaller livestock to 9 in. at the top for larger livestock. Generally, the spacing of the wire increases with the height of the fence. The woven wire fence is available in several combinations of wire spacings and sizes, heights and numbers of the horizontal wires. Most woven wire fences come in heights ranging from 26 in. to 48 in. the vertical wires should be arranged at 6 in. apart for smaller livestock and 12 in. apart for larger livestock. Barbed wire fences are made of at least two smooth, galvanized wire which are twisted together and having a series of barbs fixed at interval of space 4 to 5 in. The standard barbed wire fences for livestock system normally have about 3 to 5 strands of barbed wire fitted between posts. A Standard barbed wire fence is of height 51 to 54 in. The spacing between the barbed wire strands is dependent on the height of the fence and the number of horizontal wires. The posts are normally spaced at about 12 – 20 ft apart. Generally, the cable wire fence is expensive and mostly installed around confinement areas. The cable wire fence consists of steel wire cables of length 3/8 in. taut between anchor posts. The height of the cable wire fence varies from about 60 in. for a fence of 4 cables to 72 in. for a fence of 6 cables. Each cable has a very strong spring attached to its end and attached to an anchor post. This spring absorbs any shock on the wires created by livestock contact. The cable wire fence may be fitted with as many cables as possible, however, 6 cables are recommended for larger livestock. This cable wire fence is becoming less popular nowadays and has been replaced by the 10 strands high tensile electric fence. The mesh wire fence comes in either 11, 12 1/2, 14, or 16 gauges and the mesh wire fences come in square knot and diamond-mesh designs. Generally, the height of the mesh wire fence varies from about 50 to 72 in. For the square knot design, the fence is formed from horizontal wires with spacing 4 in. apart and vertical wires of spacing 2 in. apart. The lines and stays meet and are held at joints formed into a knot using a piece of short wire. Unlike the square knot design, the diamond-mesh design consists of two wires twisted together to for the horizontal wire, these lines are spaced at 4 in. adjacently. The vertical wires are single wires wrapped around the horizontal wires to form a triangle of base 2 in. The fence forms a diamond shape when two triangles are fitted together. Generally, the mesh wire fence is strong and very safe for livestock. Nevertheless, it expensive and is mostly used for small acreages or confinement areas. The board Fencing for Livestock is made of a wide board of thickness about 1 to 2 in. and width 4 to 6 in. nailed to the flat side of wooden posts. Although you can choose any height for your board fence, the most common heights are 4.5 and 5 ft. The space of about 8 ft is normally allowed between the posts, though the length of the board must be checked before the space is decided upon. For instance, if you purchase the 16 ft boards, posts may not be properly hammered straight at every 8 ft to join the boards. Hence, the spacing between posts must be reduced. Board fence is attractive, strong and very safe for your livestock. However, most people always build it wrongly. In order to maintain aesthetics, most people position the boards on the wrong side of the post. The Boards must be affixed to that side of the posts that face the animals. Otherwise, when the livestock push themselves or lean against the board, they may push the board off the post. Nevertheless, the board fence is expensive to construct and maintain. More so, it requires a lot of materials and labor required to construct and maintain. Another disadvantages include splintering, breaking, and rotting of boards. High tensile fences are relatively inexpensive, require less maintenance and is very easy to handle. The high tensile fencing is tough and can withstand contact from livestock. It doesn’t lose its elasticity due to its low temperature contraction. Unlike how the traditional fence wires quickly sag and stretch, the high tensile fence wire does not. 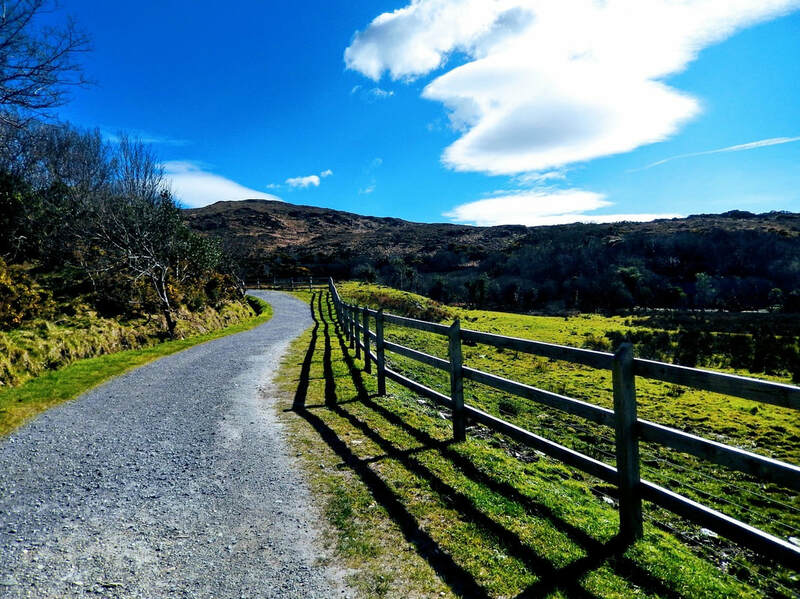 The high tensile fencing is not recommended to contain horses except you’re using the electric version, this is because it will pose some risk of injury to your horse, which you would like to accept. The most effective and safest fencing method to contain livestock and offer both temporary and permanent Fencing for your Livestock is the electric fencing. The electric fencing supplies adequate electric shock to any livestock who comes in contact with the wire. Farm owner may need to train the livestock to respect and stay away from the electric fence. Several materials can be used in constructing the temporary electric fences. Some of this include the stainless steel or fine aluminum wires intertwined with polyethylene fibers to form poly tape. The temporary electric fences come in different colors. Note that the black color fence is very difficult for livestock and even humans to see. Other bright colors like orange and white are much easier to see notice and are the recommended types of fence color. The poly tape can also be obtained in different densities. The poly tape with a low wire density has a maximum length of about 1200 ft, while the one with a high wire density has a longer length. Generally, the permanent electric fence consists of 2 or more strands of wire, though permanent electric fence for smaller livestock may have as much as 10 to 12 strands of wire. These wires can either be made from high tensile wire, stainless steel, or aluminum and are capable of conducting electric charges over a longer distance than the poly tape. However, these wires are very hard to see by the livestock. For effective training of the livestock to avoid the electric fence, brightly colored plastic or cloth pieces can be attached to the wires to enhance visibility. Alternate wires in the permanent electric fence are hot. Another wire serves as grounded return to the controller sometimes called the energizer or charger. On contact with the energizer wire, a livestock closes the circuit in the electric fence wire with its body, which is also in contact with the ground. The shock received by the livestock creates a sort of discomfort which discourages the livestock from moving closer to the fence any further. Please note that you must be very careful when using the electric fence. In some regions, it is illegal to use an energizer with the electric fence unless the charge on the electric fence is regulated by a controller, which must also meet safety standards. Avoid high impedance controllers, they can cause death or severe injury to your livestock. What Are Livestock Considerations For Right Fencing? 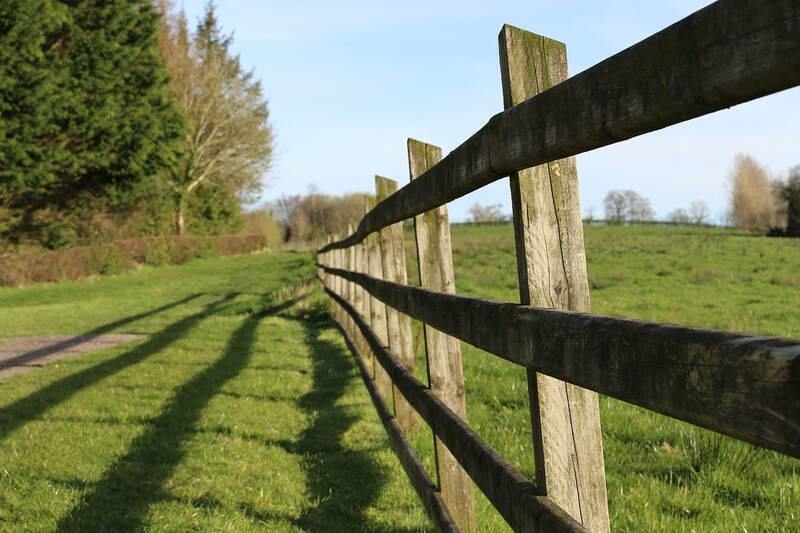 Before concluding on a particular type of Fencing for your Livestock system, there are some important considerations you have to make. Different livestock require different fencing system. An important consideration when selecting Fencing for Livestock is the effectiveness of the fence to contain your livestock, especially when there are either plenty of feeds on the other side of the fence or if your neighbor keeps similar livestock species. In such case, an electrified woven wire fence can be used. The electrified wire should be positioned at about two-third of the height of the livestock to be contained. For controlling stronger animals, a stronger fence is recommended, especially when the grazing pressure or stocking rates are high. Woven wire fence or barbed wire fence have been conventionally used for cattle. Barbed wire fence of about 4 or 5 strands is suitable for containing cattle. The cost of setting up the barbed wire fence is about 70% of the cost needed to set up the woven wire fence. Though, the barbed wire fence has shorter lifespan and requires more maintenance than the woven wire fence. Either the heavy or extra heavy-duty woven wire fence topped with 1 or more barbed wires is recommended for cattle. The height of the fence should be nothing less than 39 in. It is much more expensive to install the woven wire fence than installing a barbed wire fence of 5 strands. However, the woven wire fence does not require as much maintenance as the barbed wire fence and also last longer. In case you’re opting in for the high tensile electric fence, at least a 4-strand high tensile electric fence is also recommended as a cattle fence. If you are considering a perimeter fencing, the height of the fence should be at least 54 in. The cost of installing the high tensile electric fence of about 4 strands is about 50% less than the cost of installing a barbed wire fence of 4 strands and 30% less that the cost installing the 1047-11-12 woven wire fence. More so, the high tensile electric fence requires only a moderate amount of maintenance. For cattle handling facilities, the heavy wire panel or wooden fences are advisable. The height of such fence should be nothing less than 60 in., this is to prevent the cattle from escaping. The fence should also be constructed in such a way that it enhances free movement and gives clear visibility, otherwise stress may be built up in the cattle. Most farm owner have adopted the barbed wire fencing for containing their sheep and goats. Nevertheless, the barbed wire fencing is not ideal for containing sheep, this is because the fleece on the sheep will be pulled by the barbs. More so, due to their stubbornness and thick skin, goats cannot be effectively contained by using the barbed wire fencing especially when the grazing pressure within the fence is high. Either the heavy or extra heavy-duty woven wire fence is ideal for confining non-horned goats and sheep. The height of the fence should be nothing less than 39 in. this is to prevent the goats and sheep from climbing. However, the height of the fence is also determined by the breed of the sheep or goat to be contained. Aside of the woven wire fence, mesh wire fence is also recommended for non-horned goats and sheep. Goats and sheep can easily break though the temporary fencing and escape, so it is not ideal to be used in containing them. Fencing system for the horned goats and sheep requires special consideration. The fencing must either be constructed in such a way to deter the horned goats and sheep from putting their heads through the fence or the fence should have spaces wide enough for the goats and sheep to put their heads through and bring it back. The Permanent electric fencing system is also ideal for the horned sheep and goats. Another consideration in fencing for sheep and goats is the predator control. The high tensile electric fence of 5 strands is very useful for deterring predators like coyotes and dogs. 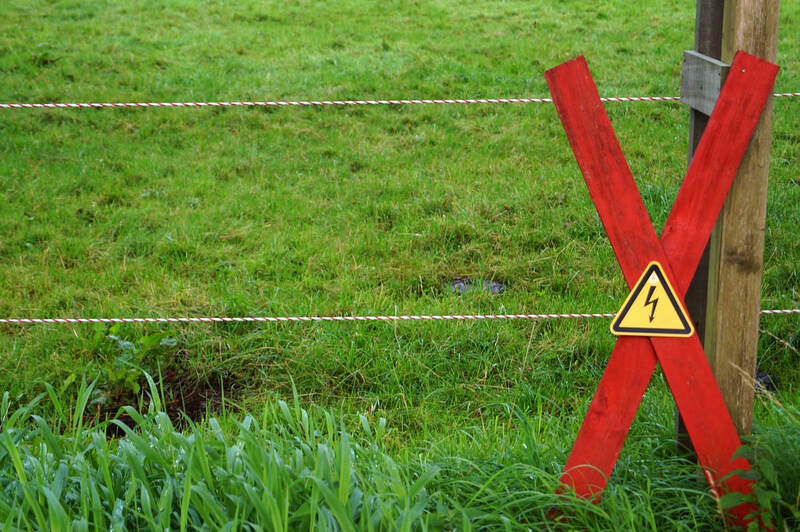 Note that grasses and vegetation must be kept away around the high tensile electric fence in order to maintain electrical current in the fence. Aside of the high tensile electric fence, the woven wire fence is also recommended for controlling predators. Though, a strand of high tensile electric wire may be placed underneath the woven wire fence to enhance the protection against predators. In case you do not use the high tensile electric wire for the base of the fence, ensure that the bottom of the fence is placed very close to the ground to enable the use of snares against predators who might dig under the fence. There is a design of a woven wire fence which has vertical wires (stay) attached to its horizontal wires (line) with a fixed knot. This design deters predators from passing through the vertical wires and entering into the contained area. Coyotes can find their ways through an opening as small as 4.5 in. Hence, a woven wire fence with vertical wires attached very close together can deter these predators from gaining entrance in the confined areas. Some woven wire fence manufacturers have produced a fencing design with 6 in. by 3 in. openings at the bottom to control predators and 3 in. by 3 in. openings for predator proofing. Please note that both barbed wire fencing and cable wire fencing are not recommended for containing swine. 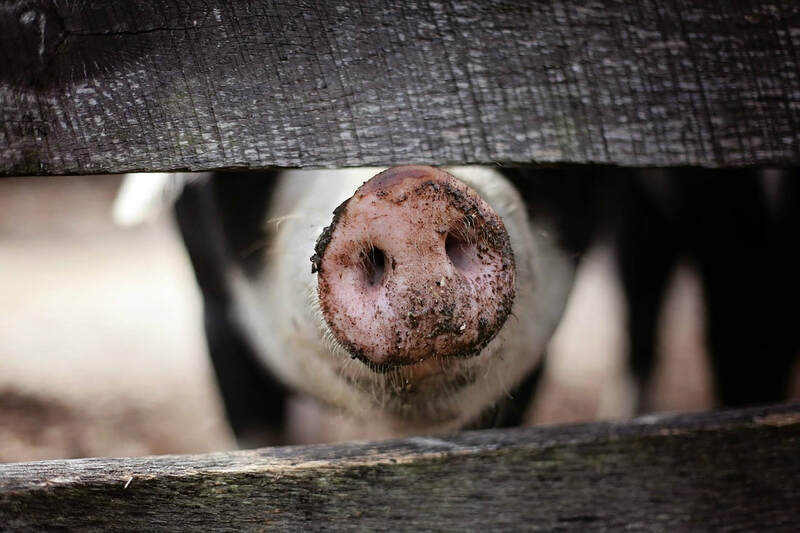 The ideal fence for containing swine is a woven wire fence with at least 1 strands of barbed wire fixed close to the ground underneath the fence to discourage rooting. Either the medium or heavy-duty woven wire fence with small openings is ideal for containing swine. The height of the fence should be at most 54 in. Note that swine can escape the fence by rooting under it, so it is ideal that the fence is built very close to the ground. 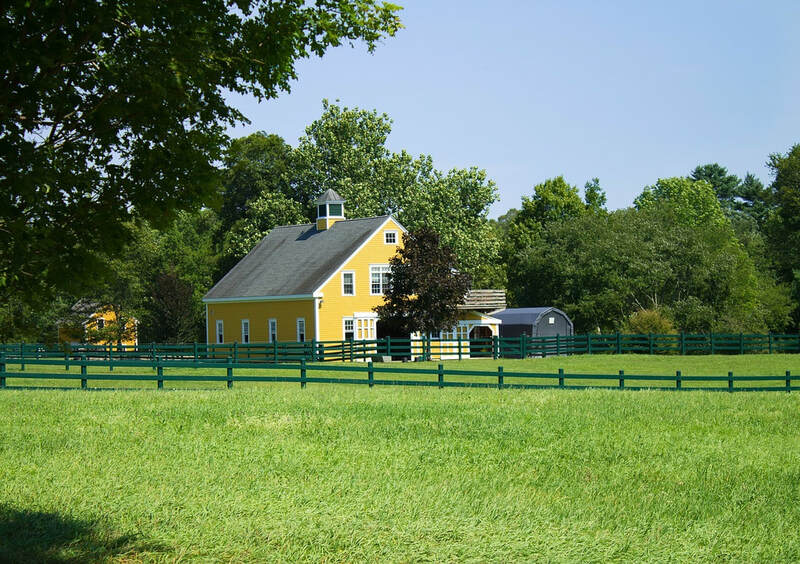 An important consideration for horse fencing is visibility. Hence, using materials that offers poor visible fences like barbed wire or high tensile wire should be avoided for horse fencing. Horses may be severely injured, like having a broken bone or deep lacerations when they become tangled in barbed wire or high tensile wire fences. Woven wire fencing with at least 4 in. openings should is also not recommended because the horses can have their legs trapped in the openings. However, woven wire fence with less than 4 in. openings is recommended for containing horses. A 1 in. by 6 in. board can be placed on top of the woven wire fencing to improve visibility. The diamond-mesh wire design of a minimum of 12½ gauge is very good for horse fencing. Another option is the electric fence, which is capable of discouraging horse contact to the fence and reducing the occurrence fence-related injuries. What Is The Cost Of Materials For Livestock Fencing? 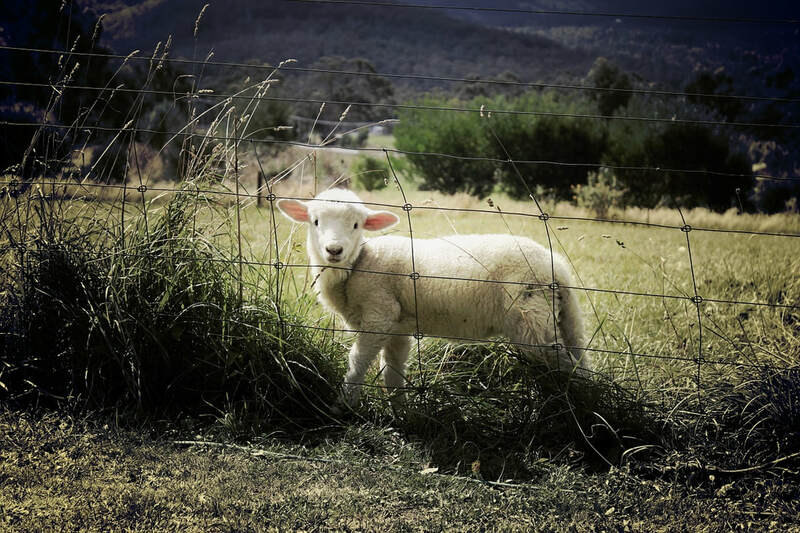 The cost of fencing materials for livestock fencing varies depending on location, the terrain and size of pastures and associated paddocks, the post spacings, the types of material chosen, and the use of either temporary or permanent fencing. The cost of labor also varies based on location, the type of fencing and the terrain of pasture. In conclusions, far owners are exposed to a number of fencing options for the protection and containment of their livestock. Most conventional fencing materials like the barbed wire and woven wire are useful for constructing Fencing for Livestock. However, there have been emergence of newer materials which include the high tensile wire. Irrespective of the available fencing options, you should choose the fencing that offers maximum effectiveness in protecting and containing your livestock. You must ensure that the fencing material for livestock that you choose offers the lowest maintaining fencing option for you and a long lasting, protecting and confining fencing system for your livestock.